INTPs are equal parts thinker and seeker. Recognizing life’s brevity, they strive to craft a life that is important, meaningful, and authentically reflects who they are. Toward this end, they feel compelled to clarify their understanding of their core self, purpose, and philosophy / worldview. Unfortunately, the INTP quest is rarely simple or straightforward, often extending far longer than they anticipate. Plagued by doubt and uncertainty, some may worry they will never find what they are looking for and that all their explorations will have been for naught. But those who persist in their quest have good reason for hope. While their ultimate destination may look a little less shiny or glorious than they envisioned, it is nonetheless worth the struggle, capable of furnishing them with an enduring sense of meaning and satisfaction. This book explores the deep existential concerns that INTPs strive to understand and resolve through their quest. It aims to further their understanding of their core self, purpose, and philosophy, as well as to illumine their path to integration and the successful enactment of their purpose. If you are seeking insight into INTPs’ personality, their ideas and philosophies, their foremost struggles, and their life quest, this book is for you. 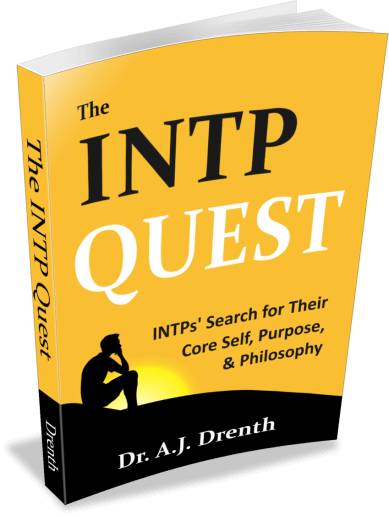 "Building on his earlier INTP eBook, Drenth investigates and describes a probable path INTPs can take to help solve what is likely their greatest problem in life: What is their purpose?... As an older INTP I've experienced the path he describes and can verify he has some deep and highly useful insights for INTPs. If you are an INTP you should have this book in addition to his others; it's an advanced manual…"
"﻿﻿Didn't want it to ﻿end"
"If you are an INTP I highly recommend this book. It was a very good read and one of those books that you didn't want to end because you wanted to know even more. He seems to know you more than you know about yourself since he provides deep insights that hit home and you can relate too. Dr. Drenth please continue to write these books since I believe your work is helping purpose-seeking, like-minded individuals greatly!" "As a female INTP, I am often confused and frustrated with my seeker status and pursuit of purpose in what seems so often a male-dominated area of my career. This book has not only comforted me by shining a light on several "whys", but it has also stimulated new seeker ideas and activities that are so essential to INTP satisfaction. I cannot praise this work highly enough as a deeply rewarding INTP activity of interest!" "This is a superior work of communication and comprehension which brings home the value of understanding personality type in-depth. As an INFJ mother of an INTP son, Dr. Drenth's work offers invaluable insights into the functioning of this fascinating type. I had several WOW moments and will be reading this book again. There's a just level of insight here regarding INTPs that's unavailable from any other source." A.J. 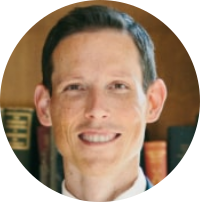 Drenth is a four-time author and recognized authority on personality typology. He founded Personality Junkie® in 2009 which has since grown to see over 50,000 subscribers and one million annual visitors. His work has been referenced in numerous books and publications and he currently boasts the two best-selling INTP books on Amazon.com. Is Mind Reducible to Matter?